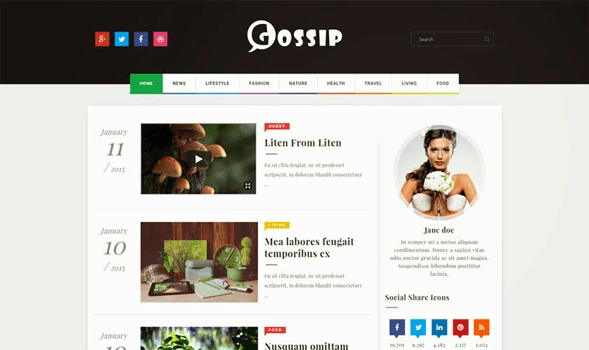 Gossip is a modern day magazine blogger template created using web technologies like bootstrap and HTML5. This template is perfect for outfit of the day, fashion blog, photography blog, magazine blog etc. We have included all the psychologically traits in this blogger template which will attract your audiences. The responsive framework of this blogger template will make this blogger template resizeable for mobile and tablet devices.